I believe that solving cash flow problems is 80% behavior and 20% knowledge plus using the right tools. In the 20+ years I’ve been working with business owners on their cash flow management that has proven to be true time and time again. What is a typical behavior problem? Spending more than the company brings in on a consistent basis using credit debt for one. And then asking yourself the wrong questions when that happens. Typically a person who is in debt will ask themselves “Why can’t I get out of debt?” And then they will answer themselves with all of the excuses that justify their being in debt. They’ll tell themselves all kinds of stories like, “I had to buy that X because…”, or “I had to take out that loan because…” all the while continuing to spend using credit. I call that financial headtrash. 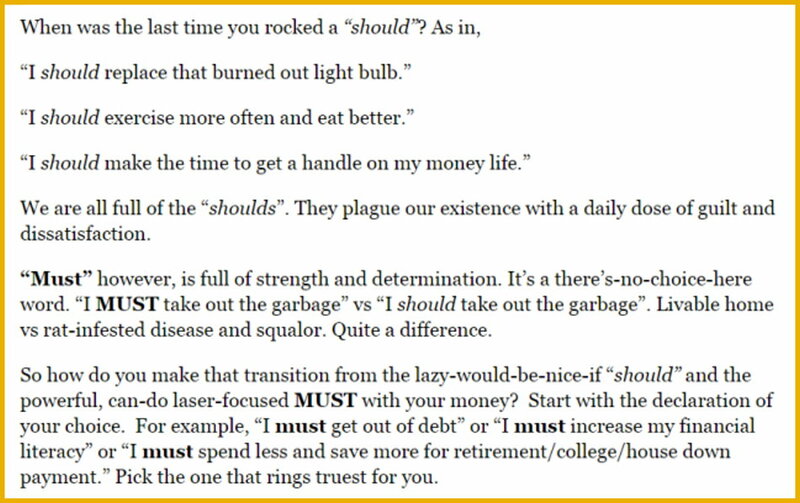 However, if they ask themselves the better question, “How can I get out of debt?” they will start thinking in solutions that will help them decide what they MUST DO to accomplish that goal. Asking and answering the question “What MUST I do to accomplish the goal?” tells you what actions need to be taken. 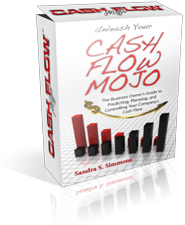 The planning out of the actions and then doing the actions are best accomplished with good cash flow management tools like the Cash Flow Mojo software. Here’s an example of asking better questions that lead to better answers and correct, effective actions. Question: How can I be sure that the piece of equipment I want to buy will pay for itself and produce a good profit in the years ahead? Example Answer: I can ask current and potential customers if they would buy what the piece of equipment produces; how likely they are to buy what it produces as a repeat order; and how much they are willing to pay for that product? I can ask colleagues in other [non-competitive] cities who have that piece of equipment how it is producing for them and if they consider it was a good investment. I can see if colleagues are selling that equipment used and ask them why they are selling it; maybe it was a bad investment or maybe they are upgrading to the newer model. Here are some other questions business owners can ask themselves. Question: How can I get my income up? Example answers: I can… Promote more. Raise my prices. Add a guarantee to make purchasing from me more attractive to customers. Add a new, profitable service or line of products. Set weekly sales targets and quotas for my sales staff. Bundle old, slow selling inventory with fast moving, high profit items and run a special to liquidate the old inventory for cash. Question: How can I cut expenses? Example answers: I can… Shop for suppliers with lower prices. Stop discretionary spending on meals. Put staff on a bonus plan instead of giving annual salary increases. Set strict budgets for spending on office supplies and inventory. Pay cash instead of using credit cards. Question: How can I pay off my debt? Example answers: Use the debit card instead of the credit card. Stop using the credit card and get aggressive about paying it off. Stop getting loans to pay off old debt since that just creates a new bill that has to be paid. Cut expenses and raise income so I have more available cash to pay off the debt faster. You get the idea. 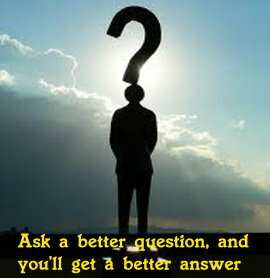 Asking better questions starts the brain cells working on solutions instead of generating excuses, so take the “Why can’t I…” questions off the table and you’ll find you will come up with some very creative and viable answers to solving cash flow problems.